Home » Blog » Homeowners Insurance » What Kind of Protection Can You Get From Wildfires? 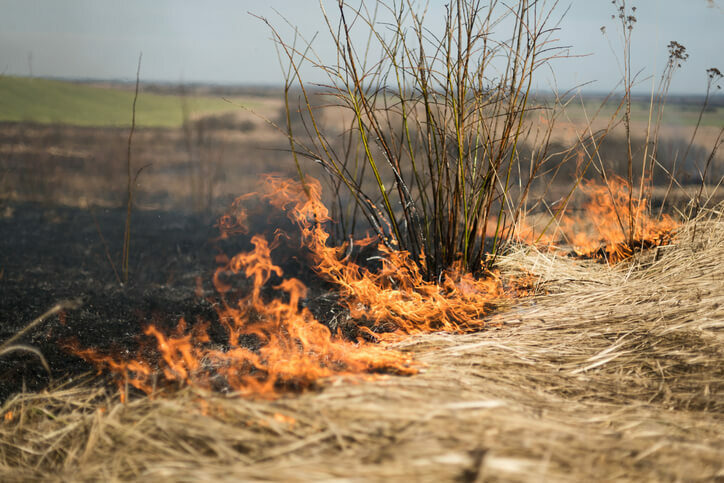 Wildfires may be a rare occurrence in much of the United States, but they’re an annual threat in much of California and other Western states due to the natural cycles of dry, hot weather. Yet building techniques, planting of fire-fueling vegetation, and other modifications to the area is making the fires bigger, hotter, and more dangerous than ever before. Since wildfires caused by human behavior can threaten practically any home or business in the country, it’s important to understand what kind of insurance policy options you have to protect you from the losses caused by wildfires. It is very rare, but possible, for a general homeowner’s insurance policy to exclude wildfires specifically. The same is true for renters insurance and automobile coverage. Most policies for all kinds of personal property include fire damage and destruction coverage and don’t exclude wildfires or other natural disasters. Since there’s always a small chance that your policy is one of the rare ones that excludes home fire insurance, it’s essential to read every detail of your coverage in full before relying on assumptions. Even if you have fire coverage from your current home and auto insurance policies, it never hurts to add specific protection. Choosing a separate policy allows you to ensure other structures, such as sheds, greenhouses, pools, and more, at their full replacement value. Most of the time you’ll purchase the insurance policy as a broad spectrum fire package, but you may find that some insurers in California have policies that cover wildfire damage alone. These policies tend to come with a relatively low premium since they’re limited in what kind of damages they cover, making the protection well worth the cost. Compare insurance rates and you may find that separate policies actually save you money in the long run over a homeowner’s insurance plan that covers everything under one umbrella policy. One of the biggest reasons to choose supplemental fire insurance, whether it’s for your boat or your business, is because many general insurance policies are undervalued. Your insurance policy may only pay out $200,000 when it costs you $300,000 to rebuild and replace everything. Since wildfires are so destructive and tend to burn down or condemn an entire structure rather than just destroy the interior, these kinds of gaps in coverage are particularly painful. Make sure you keep your insurance policies updated so that every time you increase your home’s value with new floors or landscaping upgrades your insurance policy grows with you. Create a 50 to 100 foot fire-safe space free of trees, shrubs, and tall grasses around your home. This may mean removing some of your favorite landscaping elements, but it could also save your home and your life. Remove any wood piles, fire wood, building materials, mulch piles, and other flammable materials from this fire safe zone. Keep your lawn mowed or try a xeriscape that features isolated clumps of native grasses, which are much slower at spreading a fire. Give us a call today at 800-777-5620 or stop in to discuss your fire insurance needs and get a free quote from Freeway Insurance.